Special Containment Procedures: Due to SCP-021-PT's geographical characteristics it cannot be transported to any secure installation of the Foundation. The hydric extension preceding the entrance of its containment zone must be guarded by the Foundation-owned Hydroceanographic Research Ship "Snow Dame". The area has been defined as a zone of scientific exploration under the care of a private initiative. Schedules for maintenance and supplies (including human resources) are cited in the attachment to the relevant documentation pertaining to Operation: Antarctica. The operation of equipment capable of causing structural damage must be performed cautiously; explosive substances, or any material with explosive capacity that is not essential for the maintenance of SCP-021-PT's custody, must be kept stocked outside the exclusion zone. In case of recession induced by natural or human influence that may compromise the object's infrastructure, Protocol Igloo must be activated, and a base built around SCP-021-PT to maintain its cover. Personnel belonging to the containment team of SCP-021-PT must avoid partaking, either actively or passively, in the performances of SCP-021-PT-1 instances. Visualization by individuals inside the object's interior is strictly prohibited and should be conducted remotely through audiovisual means from previously prepared equipment organized in the locale. Individuals that have been converted permanently are to be considered lost. Instances of SCP-021-PT-1 must be treated cautiously despite any amicable demeanour. No personal connections are to be made except Rapport; their performances must not suffer any type of interference by external agents. Requests by these instances are to be provided at the discretion of the expeditionary council. During events SCP-021-PT-B, Protocol Vigil must be activated, during which instances of -1 will be extracted from 021-PT and protected until the following valid period for them to conduct performances1; any instances of SCP-021-PT-3 must be liquidated on sight. SCP-021-PT's exterior. Stationed in the Antarctic Ocean. Description: SCP-021-PT is a maritime iceberg adrift towards the coast of the State of Santa Catarina, in Brazil. Its initial sighting2 was during a movement through the southernmost lithograph region of Argentina and Uruguay, and by vessels navigating the Antarctic and Atlantic oceans. 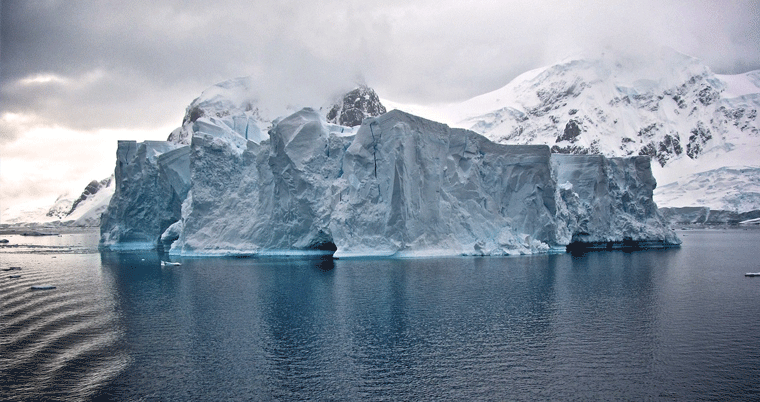 SCP-021-PT was towed and anchored once more in the Antarctic Ocean, and its current stationary state has since been unaltered by oceanic streams. SCP-021-PT holds a glacial lapa cavern, predominantly horizontal and with a unique room3, preceded by a meandering corridor, housing the partial structure of a theatre4. This structure is symmetrical and semicircular, possesses a parterre, loges, and three galleries, and is occupied by approximately 170 instances of SCP-021-PT-2. The totality of the architectural elements, with the exception of those extensively used by SCP-021-PT-1 instances, exhibit signs of freezing and lack of maintenance, with small areas completely ruined due to the exposure; the proscenium, and the parterre are divided by an irregular rupture with 20 metres in diameter by 50 metres in depth5. Inside this structure there are currently five6 instances of humanoid entities with similar appearances to that of androgynous human individuals, denominated SCP-021-PT-1, currently from A to E. These instances are comprised of a vitreous-crystalline material similar to ice. The common attire and the costumes worn by these instances have been adapted to the climatic conditions of the region, normally in a ludic manner. These instances present functional human physiological capabilities despite not requiring the maintenance thereof. Their skulls do not exhibit nasal nor ocular cavities. These instances are generally affable7, and are capable of communicating in English, Italian, and French. Their abilities and expertise are varied but normally connected to artistic performances and fields.8. 1-A Primarily masculine; wears a parka set adapted with blue overalls, and a bonnet. Designated stagehand, and interim director of SCP-021-PT. Also, the primary author of the performances reproduced by other instances. 1-B Primarily feminine; wears a parka set adapted with brown overalls, a bonnet fashioned like a protective helmet, and adapted PPE9. Designated as the responsible technician for SCP-021-PT, operates and maintains elements that are relevant to the performances such as scenarios, attires, audio, illumination, amongst others. 1-C Primarily feminine; wears formal attire; elegant Victorian-era dresses, adorned chapeaus, boots, and gloves adapted from articles of arctic clothes. Designated as the pianist, demonstrates extraordinary abilities with the instrument, a vast musical repertoire, and is capable of composing original works. Exhibits academical knowledge associated with the 20th Century. 1-D Primarily masculine; consistently found wearing some type of ludic costume: from clothing typical of Greek dramaturgy to clothing typical of Italian operas. Designated as the singer, acts in opera and musical performances. Capable of vocalizing feminine and masculine timbres. 1-E Primarily feminine; extraordinary instance; originally D-2839, created during Incident 021-PT-Delta; normally wears Foundation overalls adapted for the winter. Designated ballerina, acts in artistic performances involving dances from a plethora of styles. SCP-021-PT-2 are instances physically similar to -1 entities that are present in the area designated as the auditorium. The apparel of these entities displays many elements from several styles, commonly associated with the regions which SCP-021-PT was sighted in before its containment. These instances are normally under a state of stasis that is suspended only during eventual programmed performances. SCP-021-PT-3 are similar to -1 and -2 entities but possess extremely aggressive behaviour, exhibiting open hostility towards -1 instances, and any human individuals present in the local. These instances move lethargically and erratically as if suffering epileptic convulsions. Their physiological characteristics are extremely variable with the exception of their mandible, which appears to be detachable, allowing these entities to open their mouths in angles of 90º, and vocalize unintelligible sounds ranging from 80dB to 150dB. SCP-021-PT-3 posses weak physical resistance10 although they are capable of remaining active even with the deficiency of crucial appendages such as their head or thorax; when damaged or destroyed, these instances exsanguinate a viscous crystalline substance that, when in contact to damaged appendages from -3 instances, will regenerate these organs or try to fuse them in new constructs or amalgamations. SCP-021-PT-1 are invariably psychophysically conditioned to perform, compulsorily, in three sessions — diurnal (8:30 GMT), vespertine (17:30 GMT), and nocturnal (22:30 GMT) — with variable duration and content11 sporadically during the week. At the end of each presentation, an Event SCP-021-PT A or B will occur depending on the quality of the artistic performance, which is judged by SCP-021-PT-2 instances. Type B Events: Occur when at least two thirds or more of the instances present in the audience demonstrate negative qualitative satisfaction towards the performance executed. In these events, SCP-021-PT-3 instances will manifest in the area encompassed by the rupture separating the areas of the stage and the parterre until the moment of the next session. The element of satisfaction, properly said, is arbitrary and measured by the intensity of the ovation performed by -2 instances, expressing euphoria through applause, producing sounds through unknown means, gifting bouquets and/or messages with variable content to the artists, also through unknown means since these entities do not appear to possess any items except their attire, and accessories. Similar reactions albeit with negative connotations and denotations will be produced during type B events. Any human individuals present in the stage or in the auditory actively interacting12 during the active period of -1 or -2 instances will undergo a transfiguration process that, albeit interruptible if the individual is immediately removed from the locale, is currently irreversible. This occurs through the transmutation of human tissue into the vitreous substance that comprises SCP-021-PT's entities. Affected areas, initially the extremities of appendages, suffer acute pain during the conversion, forcing an individual into a state of syncope. Addendum: Letter recovered from the belongings of a previously deceased instance of SCP-021-PT-1. Seeing the pencil right through my fingertips is still something I am not used to. I think that we got what we asked for. It seems that the allegory of a Faustian bargain has never been so well-depicted outside literature. I wish all of this was a play that we could just curtly bow to our audience, and everyone would go back home safe and sound. Of course we wanted a captive audience to whom we could share our art; of course we wanted to influence people with our art; of course, we wanted incentives to continue making art. Not this way though. Not this way. Jacob ushered us to do the best presentation we could ever imagine of after speaking with that devil of a woman, if anything could describe such a vixen. I think she is behind all of this. We heard her words but we didn't listen to them. We thought that all those people rising from their seats to applaud us was some type of dream, everything we asked for; the roses, the letters, their admiration. Then everything shook, and went black for a moment. The public rushed to the exit, screaming. They tried to exit but there was nowhere to go; the theatre was adrift, like some sort of ship. Even worse, onwards to a desolate place, the cold started biting at us. So they came back. After a short period of chaos, we decided to gather our wits, and make a plan. So, we took volunteers with some degree of courage, and intelligence to take the lead of the situation, and stepped on the parterre. We could transform the whole theatre into a ship or something, provide important things to people such as clothes, and food (if only we could fish), with some creativity. We gathered everyone, and managed to think about something; decided to announce to everyone else at the time of the next presentation, and so we did. Some looked at us in dismay, others cursed but most clapped, volunteered, and wished everyone the best of luck. Those in the auditorium started to curl, complain, and cursed at us. At first, we thought that it was just a huge change of mind. We felt desolated. Then we realized that they were becoming like the ice just a few kilometres from us. They started freezing in place, becoming some sort of mannequin. We would've rushed to them. But we ourselves had been affected by that strange disease. Our fingers became ice, we lost our semblance. I don't know what is worse, being entrapped in this form with a mind of your own, or becoming a mindless statue like our audience. The pain had cast everyone into inaction some, (as we had thought back then) thankfully, escaped that fate. We started to devise plans to escape as soon as possible now that the theatre was inbound to that frozen wasteland but there was a problem. Every date in which we were supposed to have a presentation, and none happened, the frozen statues would start hooting us, alive again. We tried to make them cooperate but it only worsened. The floor between the auditorium started to crack, so after a time we couldn't even commute. Then one day, those things appeared from the crack. Devious creatures of ice, and ruthlessness that hunted us without mercy. We tried to run, we tried to hide but the only thing that would quell them were new presentations. A few of us had gathered to bid our goodbye by doing what we loved, what we wanted, only to be surprised by the lack of chaos and death. Of course, we kept repeating. We felt hunger or fatigue no more. If only we could gain time, and devise a way of escaping before everything froze but we had wasted too much time. Now wasting time is our routine, and we've come to hate what we do. Yet, something keeps forcing us to do it. 1. Instances of SCP-021-PT-1 are aware of the protocol, and its procedures, and will try to move towards the rendezvous point designated at SCP-021-PT's entrance. 7. According to the study of their voice, and body language that has been catalogued due to their lack of complex facial expressions, and therefore microexpressions. 10. Shattering like ordinary glass. 11. Normally interpretations of classical theatrical works or reinterpretations developed by the instances themselves. 12. For example acting or clapping.